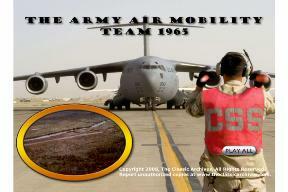 This DVD gives you a tour of the Army Air Mobility Team during the Vietnam War. It tells you about its doctrines, ground and air operations, with an in depth view of the use of helicopters during the war. A solid tribute to the America men and women of the Vietnam War. This DVD runs about 30 minutes and has a fully interactive menu.